The ICAA is pleased to partner with Indagare to present a special tour of New Orleans, celebrating the historic city’s rich architecture and design of both the past and present. During this exciting architecture-focused tour, participants will explore the ways in which the classic meets the new in historic New Orleans. This special journey will grant access to incredible private homes that have been preserved since the Colonial and Classical Revival periods. The tour also includes visits to plantation and shotgun houses, as well as the lovely Garden District, with the opportunity to meet influential New Orleans residents along the way. The tour is hosted by John Stubbs, an expert in architecture preservation. John is Christovich Senior Professor of Practice and Director of the Master of Preservation Studies program at the Tulane School of Architecture in New Orleans. He previously served as Vice President for Field Projects for the World Monuments Fund and as an adjunct Associate Professor of Preservation at Columbia University’s Graduate School of Architecture, Planning and Preservation. A native of Louisiana, John first began his career in architecture preservation abroad as a surveyor on archaeological excavations in Italy and Egypt. He is also the author of two books. This tour is arranged by Indagare. For further information, please contact [email protected] or 646-780-8383. Please note that a fully tax-deductible donation of $500 per person is required to participate in this travel program. All travel program participants have the opportunity to receive a complimentary Individual level membership for one year to the ICAA. Participants will enjoy drinks at a private residence in the Garden District, which was built in the 19th Century in the Greek Revival style. On the first day of the tour is a private dinner at a 19th Century home in the Garden District, built in the Italian Gothic Style. John Stubbs will lead the group for a tour of the French Quarter, which features some of the most iconic New Orleans architecture, including pastel Creole cottages and cast-iron balconies. The group will observe architectural details of the French, Spanish, and American periods in Jackson Square, visit such buildings as Faulkner House and Benjamin Henry Latrobe’s Neoclassical Louisiana State Bank, and tour top studios known for antiques, traditional metal craftsmanship, and urban planning. 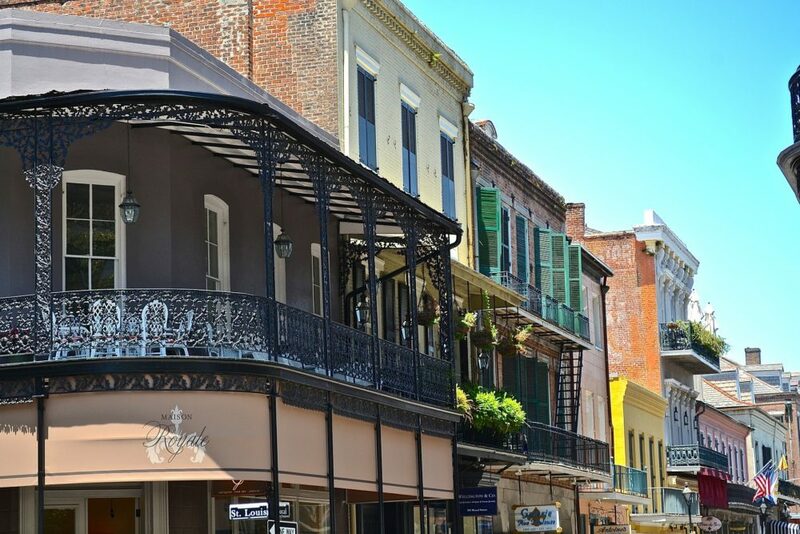 The tour includes a visit to a private apartment in Jackson Square, located in one of the Parisian-style Pontalba buildings, dating back to the 1840s, with lovely views over the square. The program features a tour of the Historic New Orleans Collection with John Magill, retired curator of the Collection and premier expert on the French Quarter. In addition, the group will tour the Italian style 19th Century former home of the Collection’s founders, as well as the Collection’s new museum dedicated to the French Quarter which is located in a house dating back to 1816 to be unveiled in April 2019 after a $30 million restoration. The group will join New Orleans art historian and former professor Ann Masson for a tour of the Federal-style Hermann-Grima House. 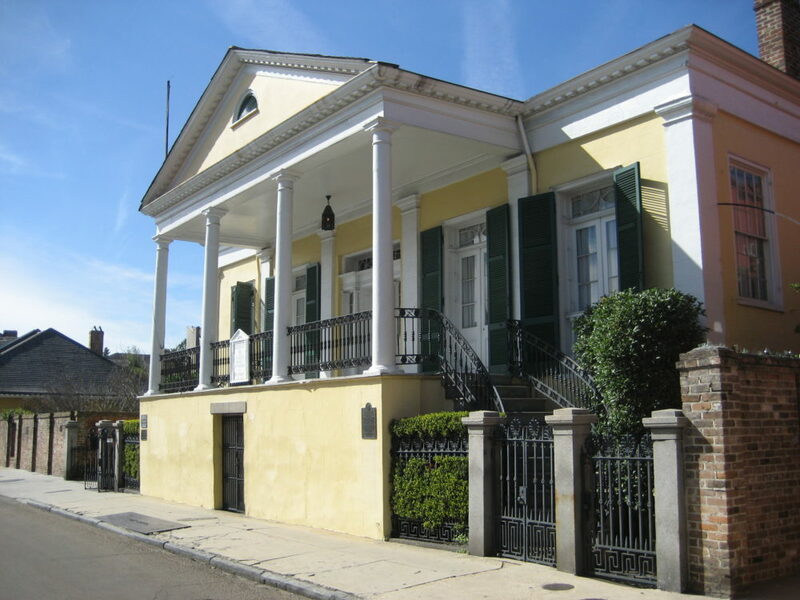 The program includes a tour of several significant French Quarter buildings from the French Colonial and American Classical Revival Periods, including Madame John’s Legacy, the Beauregard Keyes House, and the home of architect James Gallier Jr. The tour includes cocktails at a private apartment located in a 19th Century Creole townhouse. Joined by John Stubbs, the group will enjoy an architecture-focused driving tour through Faubourg Marigny, a quirky and creative neighborhood known for its Cajun bistros, jazz clubs, and Bohemian spirit. Then, the group moves beyond the Marigny to other neighborhoods all over the city. 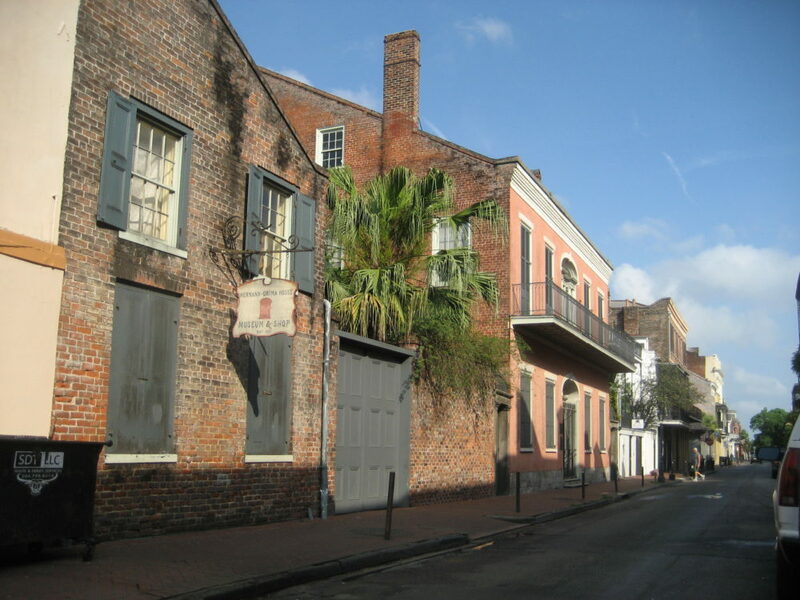 Highlights include the Lombard Plantation, the Captain’s Houses of the Holy Cross District, the Make It Right Houses in the Ninth Ward and the classical buildings of the Central Business District, including the former City Hall and Julia Row (thirteen identical “sister” townhouses dating back to 1833). Following the driving tour, the group will meet with retired curator and premier expert on the French Quarter, John Magill, for lunch at a Garden District restaurant. The group will view classical highlights of the Garden Distrct, including several private homes and the famous Lafayette Cemetery No. 1, which, dating back to 1833, stands as a testament to early New Orleans life. Following this, participants will tour the uptown area, including Audubon Park, Tulane University, and the nearby private homes of host John Stubbs and the architect Lee Ledbetter, who owns a rare mid-century glass-and-steel property on Marquette Street. The group will also tour the reimagined double-shotgun-style home of Tulane architecture professor Ammar Eloueini and Charles Moore’s Postmodern Piazza d’Italia (1978), a recently restored masterpiece. Participants will join John Stubbs and Tulane architecture professor Laura Blokker for a tour of historic properties along River Road, most of which were done in the Greek Revival or Creole styles. For more information, contact [email protected] or 646-963-2234. Due to the exclusive nature of our tours, some private locations or visits may be omitted from the ICAA's website.